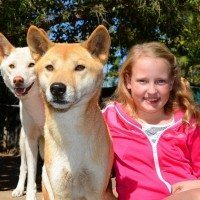 For a WILD new adventure during the next school holiday, why not join our friendly dingoes right inside their enclosure for up close and personal encounters that go way beyond the regular daily show. 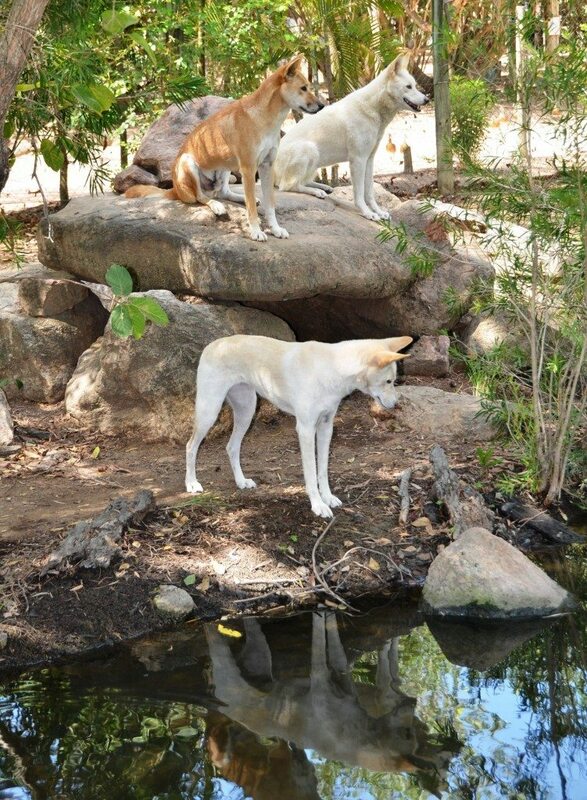 Our beautiful dingoes, King, Allira and Kalari, love cuddles and attention. And they like to have fun! Enrichment activities are essential for such intelligent animals: During the Ranger talk, you’ll hide bits of meat throughout their enclosure, and watch as they seek them out. You’ll be amazed at their agility, as they scramble up onto rocks and even onto low-hanging branches. Offer them toys, play games, get totally involved! Learn more about how we train them, what they eat, and how they are different from dogs. You’ll have plenty of opportunity to take your own photos throughout your session. 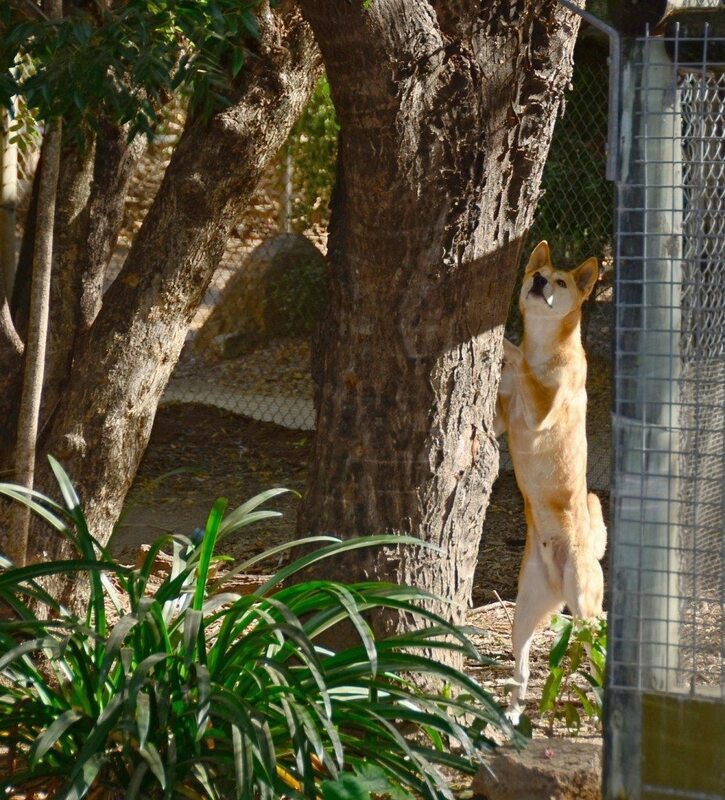 After the public Dingo Show, you remain behind and help feed the dingoes their dinner. See how their training kicks in as they sit patiently till the Ranger gives the signal. After your session, you’ll have some great photos to take home, and we hope you leave with a deeper appreciation of these misunderstood predators, an essential part of a healthy ecosystem. – Your interaction will last about 45 minutes to an hour. 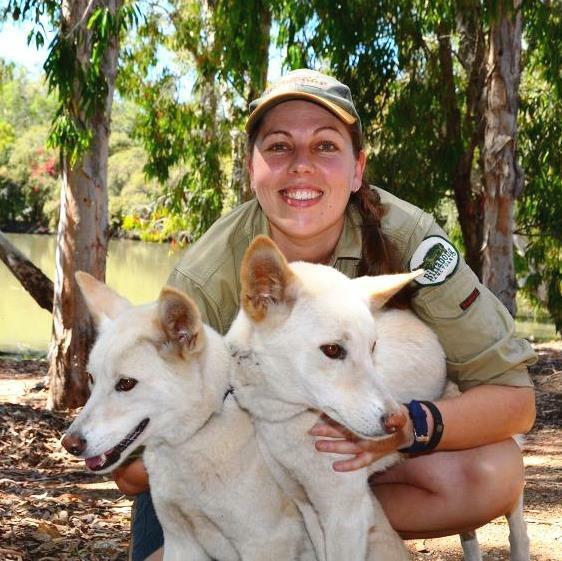 – Cost is only $50 per person (plus entry to Billabong Sanctuary). Children are welcome (accompanied by an adult) but must be at least 1.2 metres tall. Book your preferred date by calling 4778 8344. Payment required at time of booking.